This year I am honored to participate in the Art Bundle for Good! 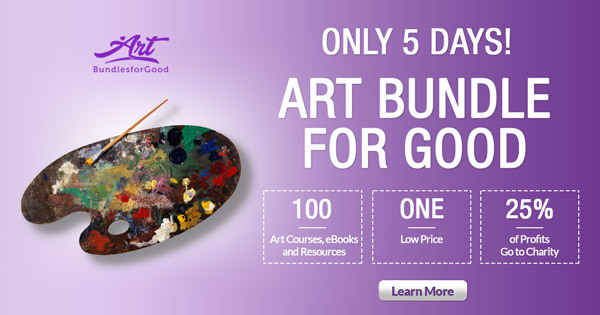 Get the Art Bundle for Good 3! 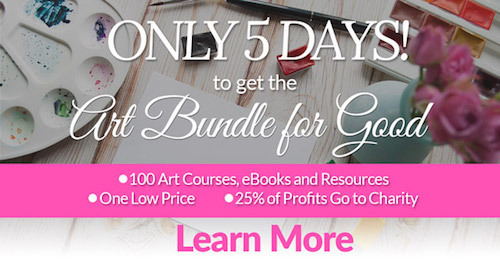 Including $4000 of art related courses, workbooks and other great resources – including 2 of my online classes! & The best part is that 25% of the profits are going to support Courageous Kitchen, a Bangkok based charity helping refugee kids. 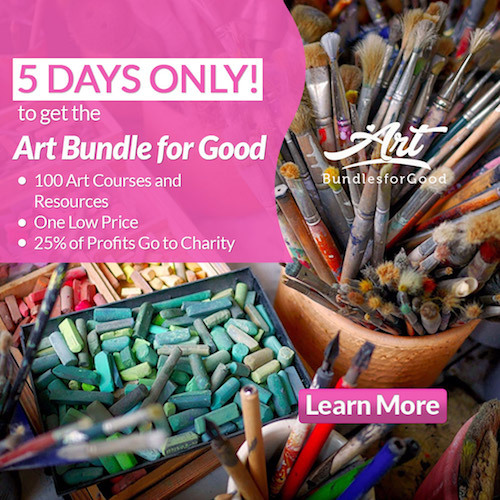 The Art Bundle for Good is a great opportunity to get 100 top art learning resources from 97 of the biggest names in the art journaling world & do good at the same time! 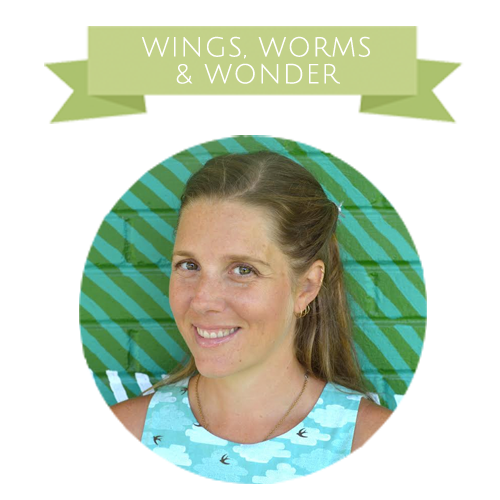 My Herb Studies and Veggie Studies Workshops are my included online class contributions! All bundled together to take your art and creativity to a new level. Learn from some of the best artists and teachers! We all know how good it feels to create, particularly when we can see our own improvement and start to master a skill that was previously beyond reach. Invest in the time to create, to learn new techniques, to hone your skills, & most of all, in the health and safety of children and families. 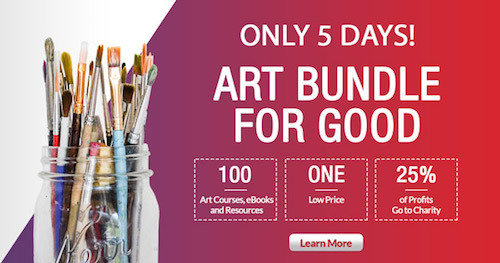 Visit the Art Bundle For Good site to see details on all the classes included. Most importantly, 25% of the Art Bundle for Good profits are going to support Courageous Kitchen, a Bangkok based charity helping youth through food skills. If you decide to invest in the Art Bundle for Good, think how much art making fun you’ll have all winter long! And at the same time, help marginalized youth to thrive in Bangkok. I’m an affiliate for this bundle because my classes are included. I’ll just put that out there. So, I feel a little weird about sending posting about this. I admit it and I thank you for listening. I also often feel awkward when in my recognized privilege. I get to sit in a cute beach house and make art, make creative resources, and garden with children for my job while by the hour children around the world struggle just to survive. I’m proud to be a part of this art bundle sale to help raise funds from the sale of my art for these kids in need! Click Here to Join the Art Bundle for Good! Watch a short & moving documentary on the Courageous Kitchen program here! 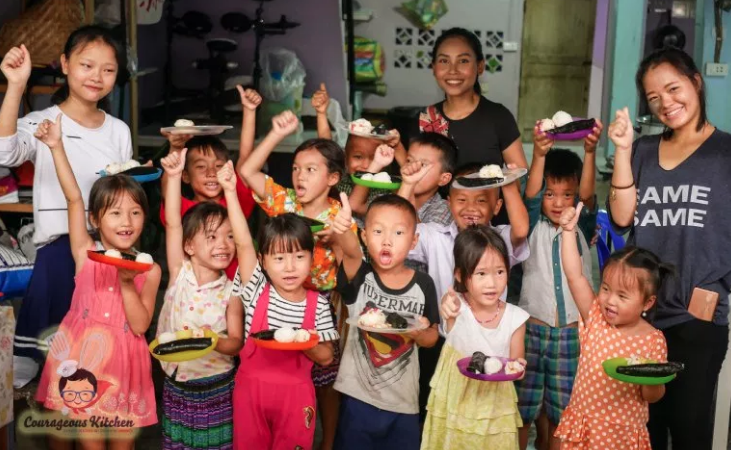 Learn more about the great work Courageous Kitchen is doing in Bangkok.